*Disclosure: This post contains affiliate links to products. I receive a commission for purchases made through these links, with no additional cost to you. When I first transitioned to following the autoimmune protocol (AIP) I focused on eliminating specific foods. The more I educated myself on the topic I shifted my focus to incorporate more nutrient-dense foods. So when I found out that Mickey Trescott’s new cookbook was going to be all about nutrient density, I couldn’t wait to receive my copy. For those of you that don’t know yet, Mickey is one of the pioneers and leaders in the AIP community, a chef and a certified Nutritional Therapy Practitioner. She wrote the award-winning and best-selling guide “The Autoimmune Paleo Cookbook”. Together with Angie Alt she co-created autoimmunewellness.com, a website that is full of resources for people struggling with autoimmune diseases. They also wrote the autoimmune wellness handbook (which you should get your hands on if you have an autoimmune disease). In addition, Mickey co-created the AIP practitioner certification program together with Angie Alt and Dr. Sarah Ballantyne. Being a huge fan of Mickey’s work I had very high expectations when it came to her new book titled “The nutrient-dense kitchen”. And it did not disappoint. First of all, it is gorgeous, from the design to the photography. To me, that is a very important part of a cookbook because looking at mouthwatering recipes will give you more motivation to start cooking. But what’s even better is that the book is full of very useful information and tons of recipes. It starts out with a very comprehensive chapter on nutrient density, breaking down what nutrients are, what your body needs them for and how to get them into your diet. In chapter two you can learn all about the autoimmune protocol and in chapter three Mickey talks about food quality and sourcing, providing the reader with a lot of practical information. These three chapters are very informational but written in a way that is easy to understand. I love that they contain plenty of tables to facilitate the user experience. This makes it easy if you want to look up a specific nutrient that you need to incorporate more into your diet. I also love that Mickey is emphasizing affordability in her sourcing chapter. Which means that you don’t need a big food budget to still reap the benefits. Now on to the recipes. When I first looked through the book, I could not make up my mind of what I wanted to try first. Everything looks so delicious. 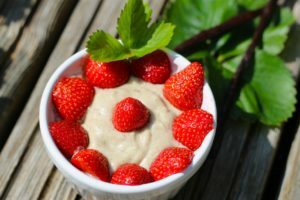 All recipes are AIP elimination phase compliant, meaning they are all free from gluten, dairy, grains, legumes, eggs, nuts, seeds, and nightshades. Mickey also made sure to include recipes and modifications for people with additional food restrictions such as low-FODMAP, coconut-free and low-carb. But most importantly, all recipes are high on the nutrient density spectrum. You will learn even more about it as you are cooking because there are nutrient details on the actual recipe pages. That way you can find out which nutrients are the stars of the recipes you are making. Many of the dishes are one-pot to facilitate the cooking and cleaning experience. You can also find a lot of recipes that can be prepared in less than 45 minutes as well as Instant Pot recipes. The Special Considerations Table will make it easy for you to find these recipes in a glance. I really liked them all a lot! My favorite so far was the fish curry soup and my husbands favorite was the taco salad with spicy guacamole. Making gummy bears for the first time was surprisingly easy and my picky eater niece happily munched away. The recipes are very well written and easy to follow. 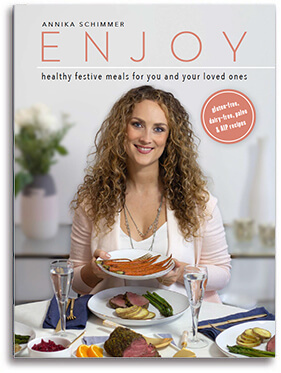 As you can see with just these recipes, the book contains a great variety of recipes for people with different taste. This is the type of book that can be your go-to book forever. On top of all of that Mickey also provides five different meal plans and shopping lists for all seasons, people on a budget and more. This information alone is worth so much more than the price of the book. It really makes your life easy and guides you through the whole process. 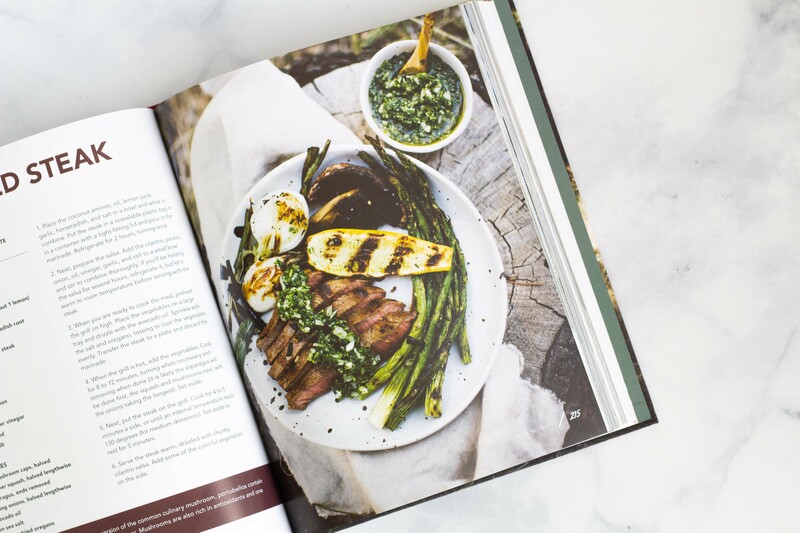 To sum it up, the book is highly valuable not only providing you with many delicious nutrient-dense recipes but also with important information that will leave you empowered and ready to make healthy choices. It is thoughtfully written, making sure to include anyone from people with additional food restrictions to people on a budget. 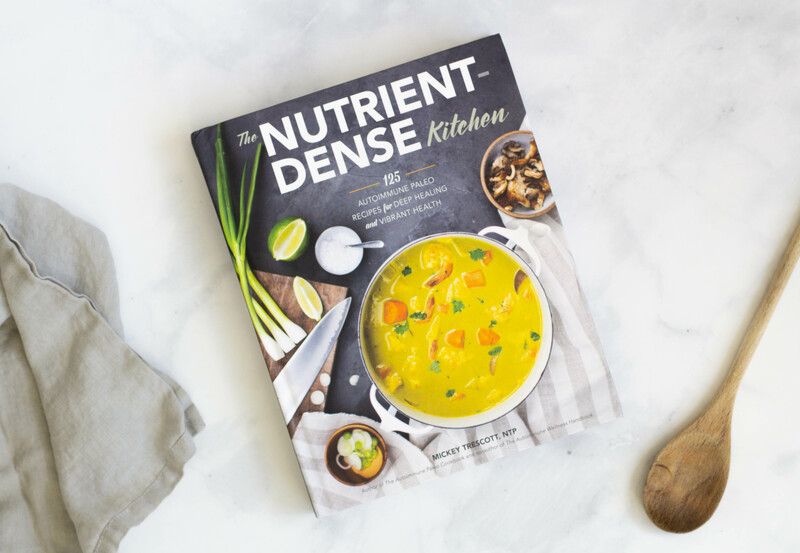 You can tell that a lot of research, knowledge, and care has been invested in this book and I highly recommend to grab a copy of the nutrient-dense kitchen.